When it comes to picking a hosting company, it can be extremely challenging – especially when there are lots of other hosting services on the market. However, WPEngine has been known to be arguably – one of the best hosting companies around today. Setting up a website and finding a high-quality host is difficult. Many web owners will attest to this. I was in a similar pickle with regards to where I had to go to find a great WordPress hosting option. I kept looking around and there were countless Google searches along the way as I sifted through the options, but it was not easy to locate the right fit. Eventually, I had the opportunity to see WPEngine at work and that is when I realized the power it yielded. Let’s take a look at my experience with this hosting provider and whether it is a good option or not for everyone else. Well, let’s begin right from the start as I hopped onto their website to see what I could get. There were five plans that were on offer and I checked each one out to see which would support my needs the best. The options included Personal ($29/month), Professional ($99/month), Business ($249/month), Premium (custom quote), and Enterprise Grade (custom quote). I was looking for a beginner’s look into the hosting provider before I jumped up a few notches. This is why I chose to go with the ‘Personal’ option. This included 1 install, 25,000 visits a month, 10GB of local storage, and unlimited data transfer to name some of the features. It was the perfect fit on paper. For those who want a little trial, you can use the hosting provider for 2 months and cancel without paying anything. It is ‘risk-free’ as they like to call it. Click here to get 20% off on your first month + a fully transparent 60 day money back guarantee! No questions asked! This offer is only available if you click on this link. You won’t find this anywhere else online! Moving on, it was important to get a hold of the right plan as without it, I was not going to get anywhere with my site in the fitness niche. I had to make sure it was perfect before I had it up and running which included getting the hosting spot on right off the bat. Let begin this detailed WPEngine review 2016 has to offer by taking a look at the migration process. I had to get my site transferred over to this host and that was something I was not looking forward to. It just seemed like a great, big hassle that was going to take up a lot of my time. I had heard about people enjoying the process, but of course as anyone else, I was reluctant to say the least. I can attest to this now, but the migration process was as simple as it gets. In fact, I could not have imagined it was going to be this simple. They did all of the work for me, it was incredible. I couldn’t believe my luck. Their customer support stated all they required was a few of my details to get into that hosting account and they’d do the rest. It was done in a few minutes and that just blew me away. I had never expected it to be this easy. This jives well with the previous benefit because the customer support is out of this world. They understand there has to be a major selling point from their end and that comes through with not only the hosting but their incredible customer support. It was amazing to have customer support from a person named Josh as he made sure I had everything up and running. It moved beyond the migration process, though. It had to do with everything that was going on with the hosting provider. If I ever had any question, they would give me an answer in seconds. It was truly like having someone sitting beside me every step of the way. Which other hosting provider is able to deliver quality of this nature? They might claim to do it, but how many of them actually follow through? It was truly a joy to have a team as professional as this and that is what makes me proud of being a client with WPEngine. They just get it when the topic of customer support arises. Whether it is account settings, security requirements, or something else, you will love this team. They are the best with ease. After speaking to the team at WPEngine, I’ve actually managed to secure a sweet discount and offer for you guys exclusively for those who are on this website. You can get a whole 2 months of FREE hosting when you sign up to WPEngine’s annual plan. The speeds are always a worry and with my previous host, I was not getting the type of overall quality that was required to keep me happy. I was hitting low numbers and that was making me cringe every time I looked. This meant the site was laggy and just downright awful to visit. Any lead that I was getting would go out the window because the site was a disaster to visit. The speeds were mediocre. When I switched over to WPEngine, this all changed for the better. They were rapid and that was where the quality started to really showcase itself. It was hitting speeds of ‘2 milliseconds’ at a consistent rate and that is as good as it gets to be honest. Where else are you going to be able to hit these numbers on a regular basis? It is just impossible to find. The best part was not just the speeds in general, but the consistent nature of those speeds. I was able to get this particular speed 99,9% of the time (I don’t want to say 100% cause you never know whether I missed something or not!) and that won me over immediately. It was spectacular. Another advantage that I saw while using this hosting provider would come down to the reliability that was offered. There are some hosts that are great with regards to efficiency and speeds but are not able to do a good job of staying up. Downtime is just not acceptable in this day and age where the Internet is awake 24/7. I was getting clients from around the world and the last thing that I needed was a host that would be down a lot of the times. It was just not something that I wanted to deal with. This is why I can state with pride that WPEngine was 100% reliable. There was never a point where it went down. This was exceptional as with my previous host, I had been in a lot of trouble with regards to how long it took for me to get them to put the site back up after it was shut down for hours. It would get frustrating and that was one of the main reasons why I knew a new hosting provider was required as soon as possible. Luckily, I stumbled upon WPEngine as it resolved this issue in a jiffy. Let’s move onto the security because as you grow a website and a lot of information is being collected, you will realize the value of high-quality security. It is going to have a major role to play with regards to how the site is running and how you feel at night. Does anyone want to have the stress of not knowing when their site could end up getting hacked? It is a risk not worth taking. This is why I was paying close attention to how their security held up at WPEngine. The site that I was running would be acquiring a lot of client-related details and I had to be sure hackers were not going to get their hands on this. It would take away from the value that I was getting, plus there might even be legal implications. This is why I was patient and made sure WPEngine held up their end of the bargain with regards to their security. They sure did hold up their end because the constant malware and general virus scans were incredible. They picked up on everything. There was never a time when I had to worry about this and that was all that I had asked for. It is the user interface that is going to blow you away at first. The overall crisp nature of the layout and how it looks to the naked eye is going to mesmerize to say the least. You are not going to want to take your eyes off of the layout and that is what they are going for. There are other hosts including the one that I was using which did not have the aesthetics down nor was the interface easy to use. This meant I would have to spend countless hours just looking to find where I had to go and that is the worst spot to be in when you are on a deadline. The interface was not only pretty as that is never enough. It was how they had laid it out and how things connected with one another. All of the important tabs and links were right there for you to see and click. It didn’t take a genius to put things together and the site was always running as needed. This was one of the best parts about the user interface and what WPEngine brings to the table. They have truly got the user interface down to a tee. With my old site, I had a lot of concerns when I was setting it up. There were times when I was not sure about how it was going to look and that always concerned me. Who wants to be put in a spot where they are not going to be sure about how things will work out when the content is published? This is why I love WPEngine. It is remarkable to see an option such as this. They have done such an incredible job at building the staging site where you are able to make tweaks before ultimately publishing the site. Any change you make can be viewed through a viewer to see how it is going to look to any traffic that hops on. I loved that feature and use it everyday even up to now. It makes life easier and you don’t have to publish and have it out there for the world to see before you go back and edit things. It is better to get out in front of this problem before it comes back to bite you with no reprieve. It was a must to enjoy the staging site and anyone that works with WPEngine will say that as well. There was a con that stood out for me with regards to WPEngine. To be honest, there weren’t any cons and this is one of the best WordPress hosting providers in the world for a reason. They know what they do well and make any changes that are needed effective immediately. If there was one con that I could manage to come up with for this WPEngine review, it would have to do with the traffic count. This got in the way a few times as my site grew and I forgot that the plan had a limit in place of 25,000 visitors a month. There was one month where I hit 26,000 and I was charged a hefty fee like you would at a bank for overdrafts. It was something that put me off, but those who remain focused on their traffic count and get out in front of this will not have any problems. I didn’t enjoy the fees, but this was a minor con when compared to the countless benefits this hosting provider has to deliver. These are the words that come out of my mouth when I think about WPEngine. 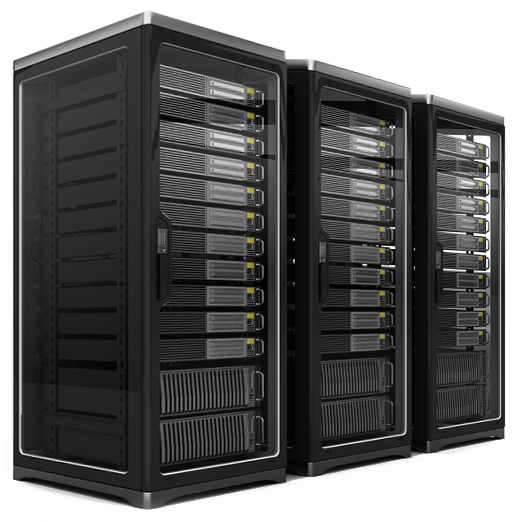 This is one of the finest hosting providers you are going to find on the open market. I was blown away by the consistency of this service and how well it runs from top to bottom. They have really hit the nail on the head with this option and it screams ‘quality!’ like nothing else ever could. Give this a shot as soon as possible for those WordPress hosting requirements. It is a must. In the past, it took weeks or months to develop commercial-grade web applications. But, due to the creation of web framework languages such as Ruby on Rails, programming breakthroughs can run from the drawing board to reality in a matter of days. This reduction in working time has benefited web developers the most, making it easier for them to improve websites and update content.The object-oriented Rails environment allows you to spend less time worrying about programming syntax, and more time implementing your unique and innovative web application ideas. Because it is supported by AJAX functions and object-oriented databases, you learn how to write codes in a neater and more organized fashion. This translates to database-driven web applications that are robust and flexible. In fact, with Ruby on Rails, you can incorporate existing plug-ins such as Google Maps and Flickr. Because of the popularity of Ruby on Rails hosting, many companies and individual developers are continuously working to expand the array of plug-ins compatible to the Ruby on Rails. This gives you, as a developer, more freedom and flexibility to create web applications that cater to the particular needs of your website. The success of your Rails applications depends heavily on the hosting service you subscribe to. Your Ruby on Rails hosting service must provide you with the right mix of software support. The two most important requirements are shell/SSH access and ability to run on fast CGI. The former allows you to get to the command line level of coding, while the latter spares your app from performance lags and delays. Itâ€™s also important that your hosting service has all the latest Ruby and Ruby on rails updates. A web server running on outdated software may raise incompatibility issues with your Rails web apps.. Another concern is your hostâ€™s scalability options. Your hosting service should be able to upgrade you to a higher subscription plan, once it sees that your website has higher demands for data storage and transfer. Your host should also be able to provide you with technical support whenever you need it. It is much better when your hostâ€™s support personnel can give specific answers to your queries, rather than links to documentation releases. With Ruby on Rails, you can improve the functionality of your website by implementing ingenious applications. By choosing the right web hosting service, you can certainly attract more users and visitors, thus making your website more popular in the online community. If you want to start a reseller web host business, you have to decide which operating system (OS) your server will have. There are two main OS servers in the market today, Window and Linux/Unix. Windows reseller web hosting has many advantages over a Linux/Unix-based one. Of course, Linux/Unix too has its plus points versus Windows, but in a world where Microsoft basically rules computers, Windows is most compatible.If you want to be a reseller, you have to take into consideration the machine specifications of you prospective clients. If you plan on targeting mostly private clients, then chances are they have a windows platform and are more familiar with it. These clients would only require personal web hosting. Yes, Linux/Unix web hosting is more stable than Windows. But adaptability-wise, Windows is better. A Linux/Unix-based website can move easily to a Windows server, but that is not the truth the other way around.There are many advantages of getting a Windows reseller web hosting. If you know your clients are going to be more Windows-savvy, this is the best option for you. Sites built with Visual Basic or Active Server Pages (.ASP) can only be supported by a Windows server. If you know your clients will be utilizing these, then the choice is obvious.Another perk of Windows reseller web hosting is its beginner-friendly features. It has the ability to recognize Microsoft Front Page. Front Page is an easy way to design a website. A windows platform can recognize this and Linux/Unix cannot. With Linux/Unix, you have to have a certain degree of knowledge in web development and design. Knowledge of programming languages is a must. But with a Windows-based server, as long as you are familiar with Windows, you will not have a hard time working on and maintaining your site. This is the best choice for individual clients and web development beginners.Reseller clientele is mostly private individuals. As most private clients do not have an intense programming background and with the high likelihood that theyâ€™re more familiar with Windows, this is the best choice for reseller hosting.